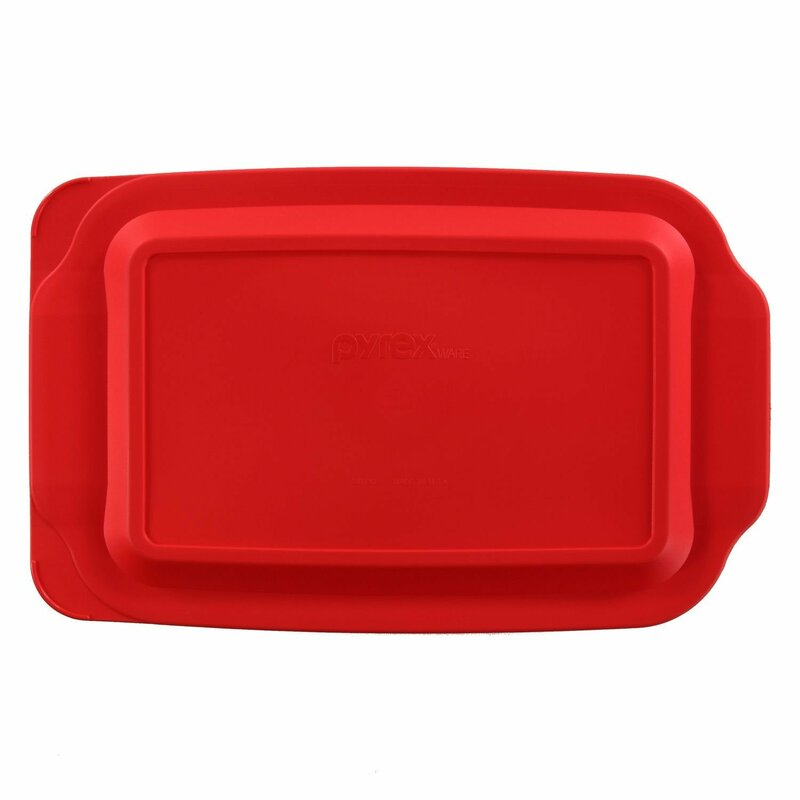 Color: Red Features: -Easy carry handles. 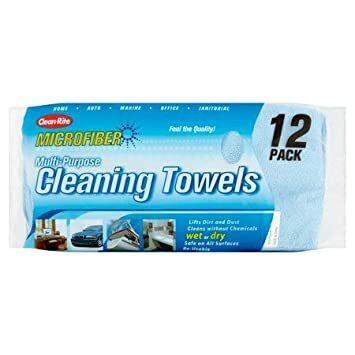 -Soft contours for easy cleaning. -Contemporary design goes from oven to table . -Easy Snap LidTM . 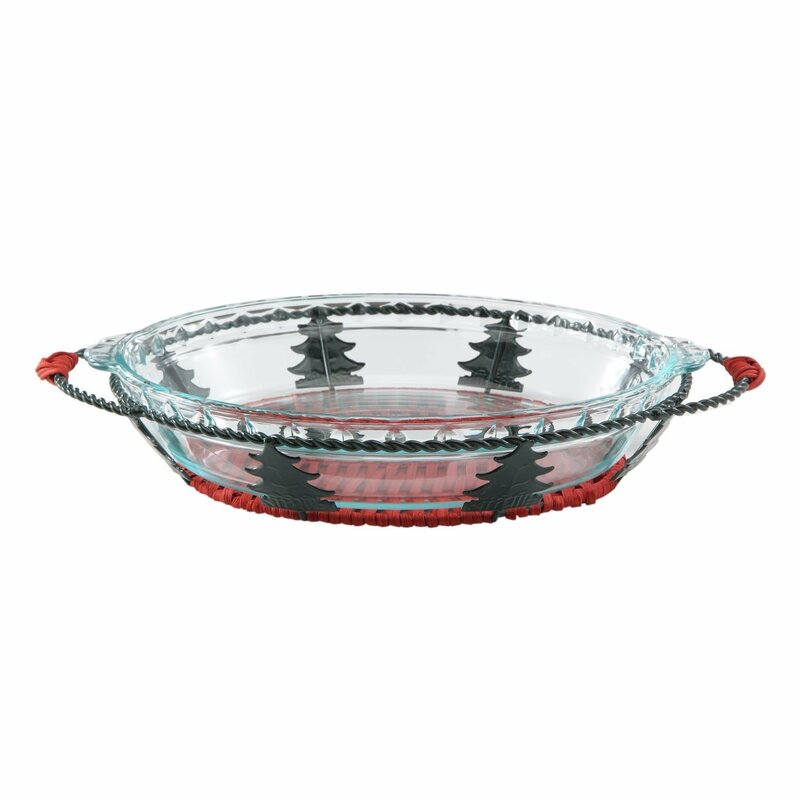 -Non-porous glass won't absorb stains or odors . 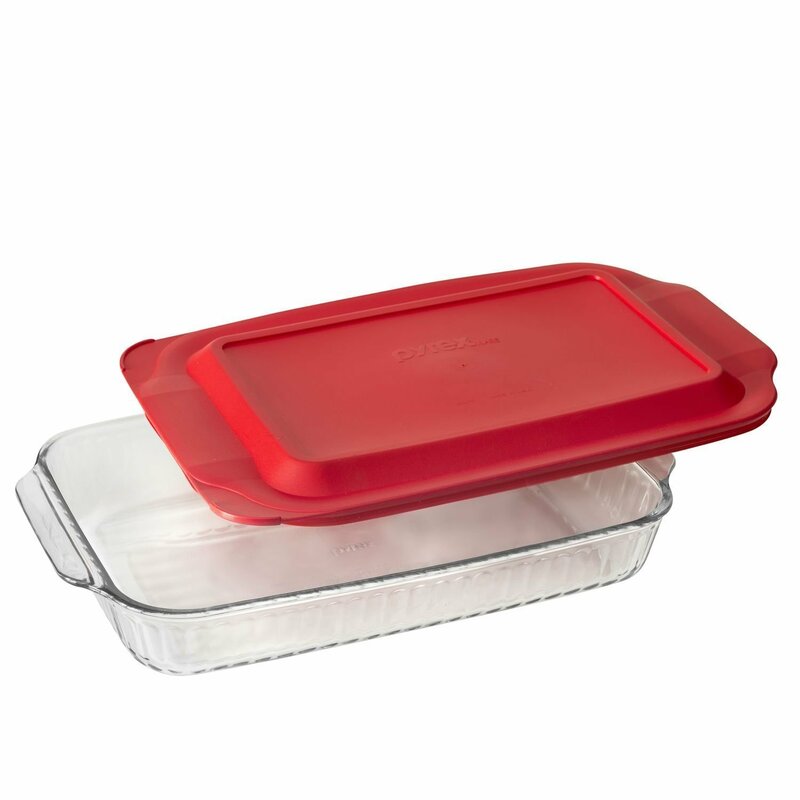 -Glass is pre-heated oven, microwave, fridge and freezer safe, & dishwasher safe. Material: -Glass. Number of Items Included: -4. Country of Manufacture: -United States. Handles: -Yes. Lid Included: -Yes. Set Size: -4. Seasonal Theme: -Yes. Used this for the first time tonight and it exploded in the oven sending glass everywhere. What a mess and a danger. After reading the reviews, I decided to purchase these dishes anyway. 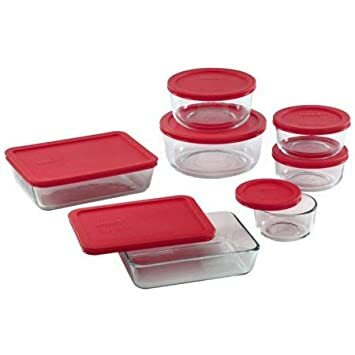 I must agree with other reviewers who have OLDER SETS of Pyrex dishes, as I do, that these are made much cheaper and can tell the quality is not THERE anymoreud83dude21. 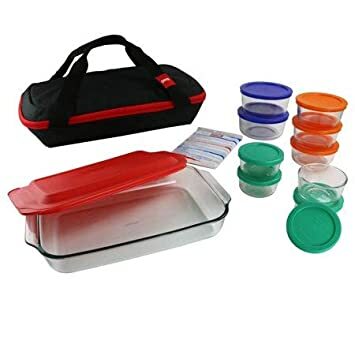 I literally purchased these to carry food in for my catering business. 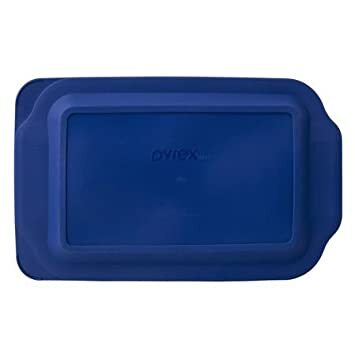 I also purchased an insulated carrying case from another retailer, just in case, and I'm glad that I did in order to protect, secure and keep dishes warm during transport. 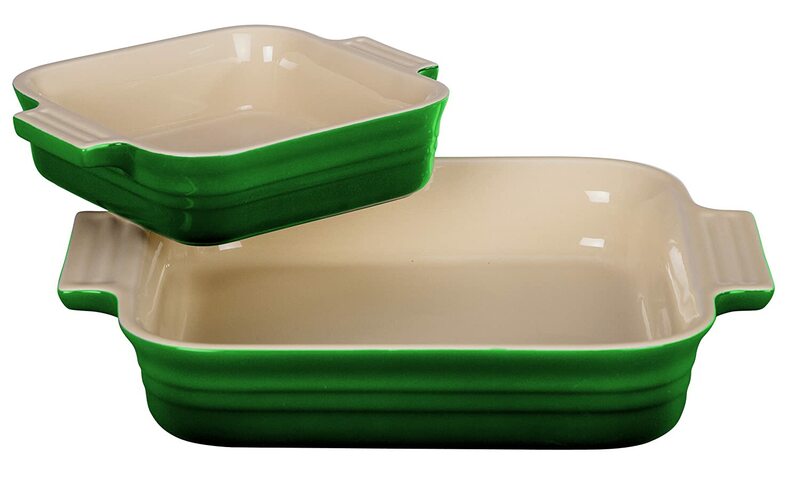 Had these dishes been the same quality of the two+ pieces I purchased over 20 years ago, I would have given this product five stars. The low price is self-explanatory when I was able to pull one dish out of the shipping box with one hand without issues. I imagine the heat retention will be poor also due to the poor quality of this product. The first time the product came the glass was scratched which I could have lived with but the top looked warped and did not seal. I ordered a replacement and the glass looks fine but this time the lid looked warped in several places, had dirt black marks on it and didn't even come close to sealing. One time I assume it's an outliner, twice in a week is a problem. 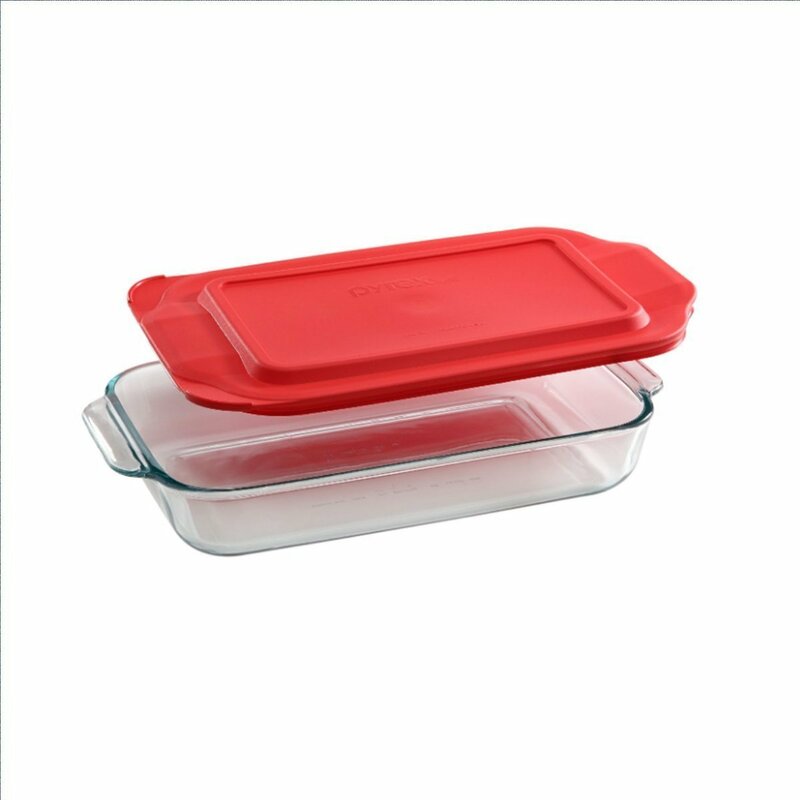 Order two sizes of this baking dish option from Pyrex. They arrived in a timely manner but weren't packaged very well. This one had a broken top during shipment and I called the manufacturer to replace it. They are sending another top and should be good to go then. 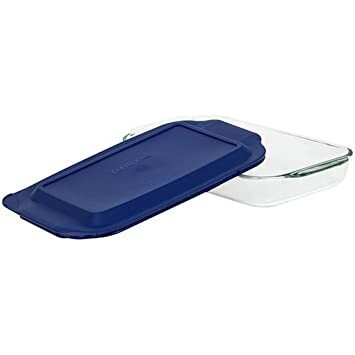 Otherwise the size of this baking dish is perfect and I like the cutout handle design for picking the dish up. I am still happy with the purchase and I'm sure when I get the new cover this product will work great for what I need. 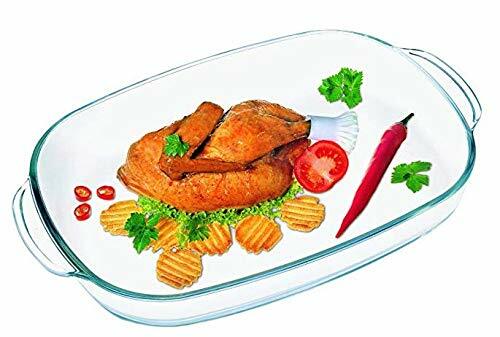 The glass is too thin to be genuine pirex, I didn't trust it in a oven the quality of the glass is not the standard of days past, there has been cost cuts on the manufacturing process, in short the quality isn't there. The plastic lid is too thin as well. 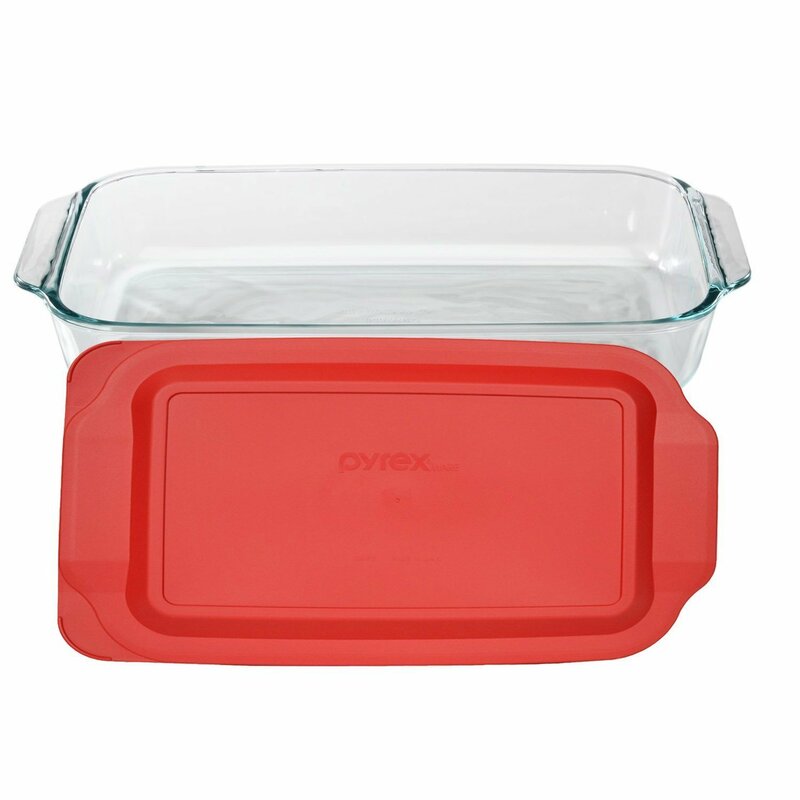 Pyrex, what can I say? I have mixing bowls from the 60s, bread loaf pans I've had forever. 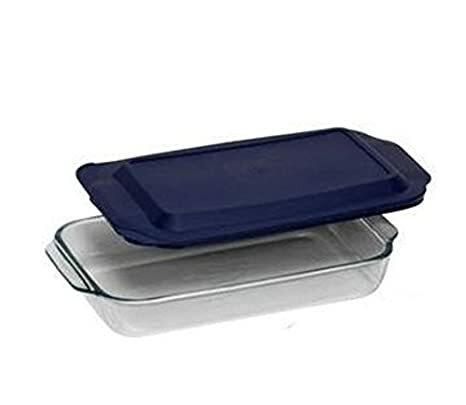 And this 3 qt baking dish is another winner, after I broke my previous dish. 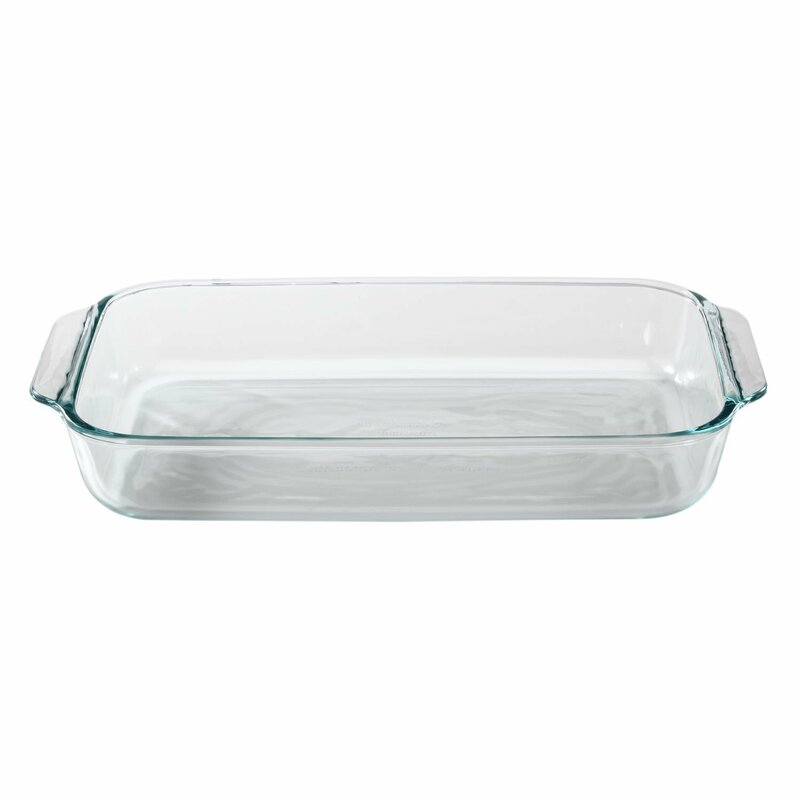 The glass is nice and thick, the handles well placed for ease of getting the dish in and out of the oven. 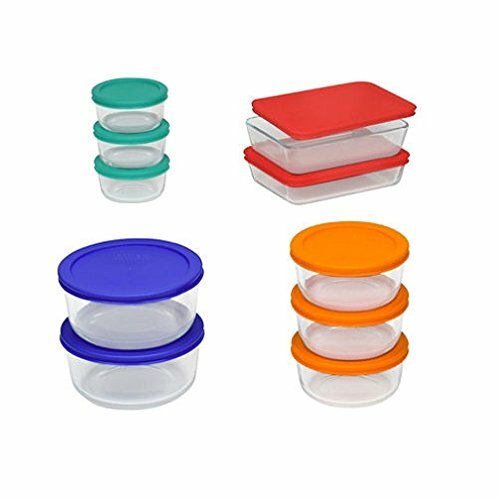 The lid is great, I can make everything from snack cakes to king ranch chicken and just store it right in the fridge with the lid. The lid fits nice and tight. 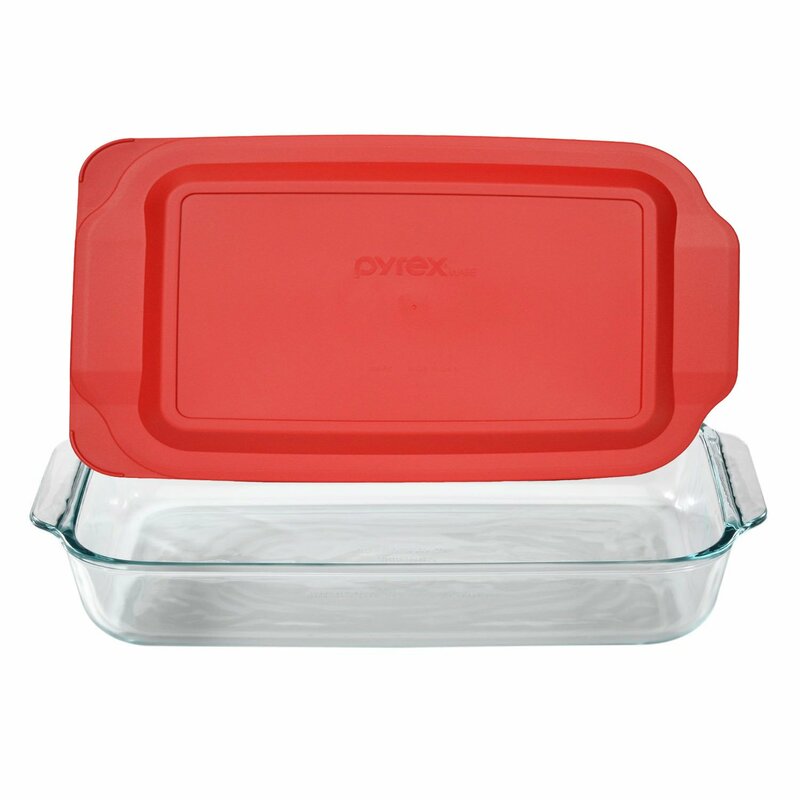 Pyrex is the gold standard. Not much more needs to be said than that. 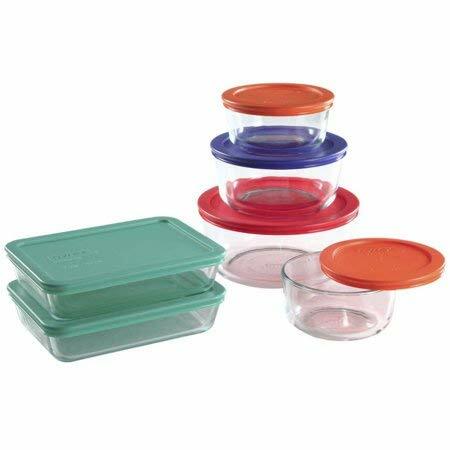 These are well made, durable containers that are easy to clean and dishwasher safe. I use this 3-quart for all sorts of things: Brining miso salmon in the fridge for days. Casseroles that bake at high heat. Rising doughs for dinner rolls. It's versatile and works exactly the way you expect it to. And the fitted cover makes it twice as useful.